This review is about item#40954067. I was able to pound the granite with a hammer drill. I am very happy. This review is about item#40953866. Hard stone is also perforating perfectly. I can not use anything other than this. This review is about item#40953884. We are using it when setting fulcrums at rocks. Performance is inferior to HILTI, but because COSPA is good, you can dare to use it especially when drilling into a hard rock with its tip easily burned. This review is about item#40953857. I bought it as a spare. I do not use it yet but I think that it can be used normally. This review is about item#40954024. You can rest assured that Miyanaga's drill blade has been used until now. This review is about item#40953893. It was more effective to use the hammer drill every two seconds, every 10 seconds, rather than using only one expensive bit to drill a hole in the rock when using the cellar! This review is about item#40953902. The triangle of the tip helps to drill in the correct position. This review is about item#10103432. I am satisfied that I can drill stones and concrete without difficulty. This review is about item#40953911. It is planned to be used in foundation construction etc., but the purpose is not the original use, so it was not good. I have found the original used product, but have you not used it much recently? This review is about item#40953972. I used it for the first time, but the hole opened smoothly than I thought. This review is about item#10103423. Concrete is good without problems. Stone is draining while pouring water while putting water in a cup or the like while chilling. There is no problem separately. This review is about item#40953936. 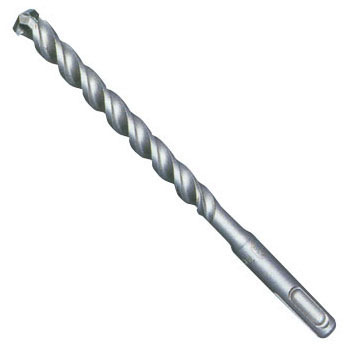 It is used for drilling concrete, and sharpness is not bad, but it broke with several times use. Improvement in durability is desired. This review is about item#40953796. The sharpness is quite good, but the part other than the tip <Tungsten> can break, so I want durability. I use it along with the arrows for disassembling the garden stone, but I think that it is a good product for a long time as well as a hard stone. This review is about item#40953841.